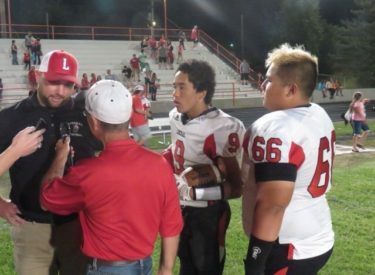 Liberal head football coach Caleb Cline handed a letter of resignation for LHS administration before Christmas break. The resignation is pending board approval. The Liberal job has been posted as an open job at kansasteachersjobs.com. Cline was not asked to resign as football coach. He remains a teacher at LHS. Cline, a 2002 LHS graduate, has been the head coach the past three years after replacing Cliff Abbott. The Redskins were 4-6 in 2014 which included a district title. The Redskins struggled in 2015 to a 2-7 season. This season, the Redskins were 4-5 after a 4-2 start. The Redskins were 1-11 in the WAC under Cline but broke a 10 game WAC losing streak in September with a win at Hays. The Kansas teaching jobs site says applications for the job are due by January 17.